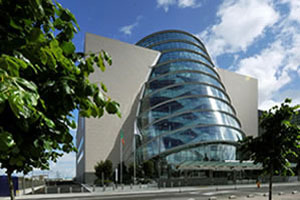 The Convention Centre Dublin (CCD) is to host the EuroPRevent 2012 Congress, taking place in May next year. The Congress, an international forum for preventative cardiology, will include educational programmes aimed at cardiologists, family doctors, nurses, allied health professionals and voluntary bodies such as Heart Foundations, as well as health planners, local and international politicians, Departments of Health and Health executives. "As the national charity fighting heart disease and stroke, the Irish Heart Foundation is delighted to welcome the arrival of EuroPRevent to Dublin in 2012," said Dr Angie Brown, medical director of the Irish Heart Foundation and consultant cardiologist. CCD will also be hosting the 35th European Cystic Fibrosis Conference in June next year.